reduces scars, black spots and fine lines for smoother skin with 100% Natural source of Alpha-Tocopherol (Natural Vitamin E). 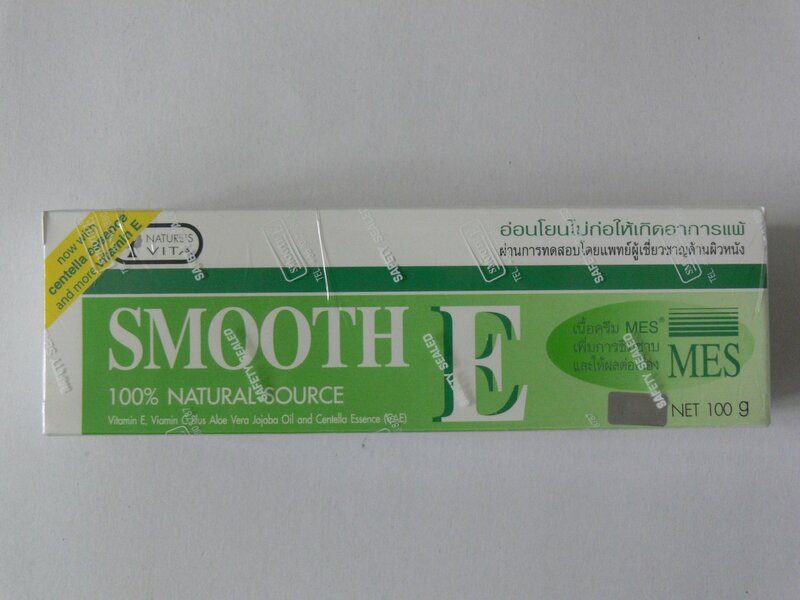 * A derivative of Vitamin E that is more stable and more usable by the skin than Vitamin E alone. * Found in foods like almonds and hazelnuts and in the oil from the wheat germ, cottonseed, soybean, maize, sunflower, safflower, and in green leaves. 3. Gently rub until absorbed 2-3 times a day. After the first application, your skin will feel soft, silky smooth, supple & hydrated. Can be used alone or under makeup. Caution: Avoid contact to mouth and eyes. * No. 1 Best selling scar and fine line reducing cream in drug stores, personal health care chains, super/hyper markets in Thailand.